At a time when 200,000 weary pilgrims a year queue up for their certificate in Santiago de Compostela in Northwest Spain, walkers in Ireland are re-discovering their own, much less visited Caminos. 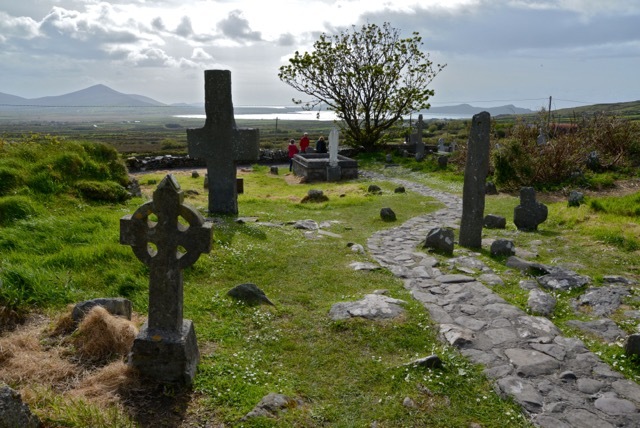 Way before a religious hermit stumbled upon the bones of St. James in 814AD and kick started what has become the most popular long distance hike in the world, Pagans and then Christians were following ancient paths to sacred sites throughout Ireland. 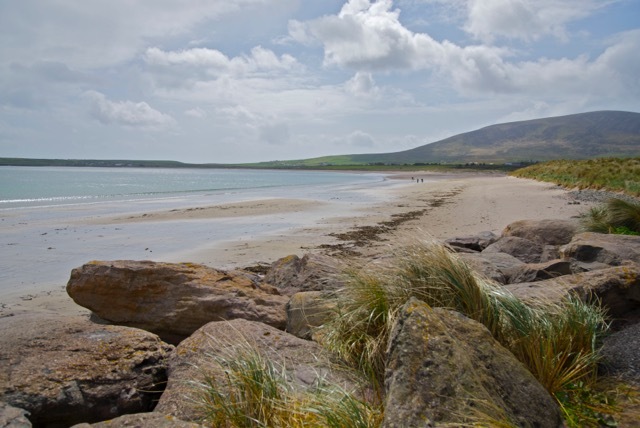 The pilgrimage to the hallowed peak of Croagh Patrick overlooking the 365 islands of Clew Bay in Mayo existed 3,000 BC and was popularized by the Patron Saint of Ireland 500 years before St. James’ way got going. It still draws 30,000 people to the summit on the last Sunday in July, or Reek Sunday. Patrick is also associated with an Island in Lough Derg, Co Donegal, attracting pilgrims from all over Europe since medieval times – a site so important that it was the only Irish place named on a world map of 1492. There are other, more unfamiliar paths now being promoted as walking trails with a difference and together they make up about a dozen routes over 250 kms of tranquil country lanes, stone paved tracks, paths through meadows and forests, across heather moor and bog lands and over rocky mountain summits, passing through some of the most beautiful scenery in Europe. 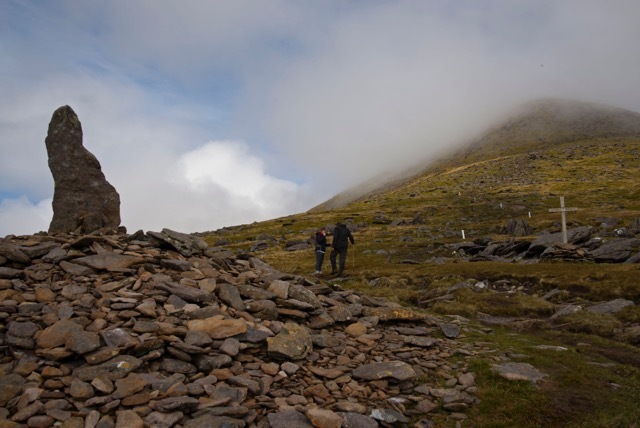 In County Mayo the 30km Tóchar Phadraig (St Patrick’s Causeway) was in use in Pagan times as the Royal Road to Cruachan Aille, the original name for Croagh Patrick and during its clearance by a local initiative ancient stone flagstones came to light indicating its archeological pedigree. medieval churches, mass rocks and sacred stones, including the miraculous rock of Boheh. This cup and circle marked stone from around 3,000BC was the focal point of Sun worshippers and used to divide the year into 3 in prehistoric times when standing at this spot at sunset on April 18th and August 24th the Sun lands on the very peak of Croagh Patrick and then proceeds to roll or slide down the Northern slope, the angle of setting Sun and mountain side matching exactly – a truly jaw dropping sight. Even without witnessing this phenomena the view of the iconic quartzite cone of ‘the Reek”, visable for most of the way, is what draws you irrepressibly onward. 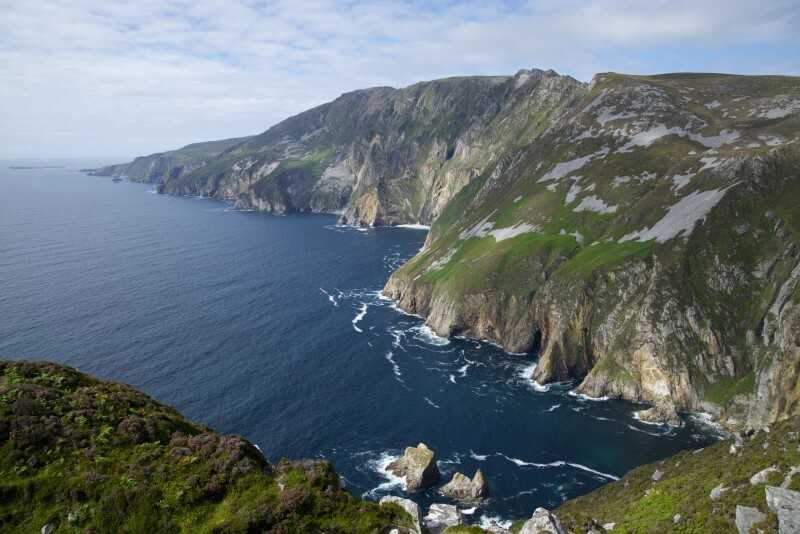 Other ways in the West include the spectacular Slieve League Pilgrim path with its 400m sea cliffs in Co Donegal and , in Connemara in Co Galway, the mountain pass of Maumeen – another Druidic sacred site that became overlaid with Christianity. Two of the most striking and atmospheric of these age old paths are in the scenic Southwest and can both be enjoyed in a long weekend. 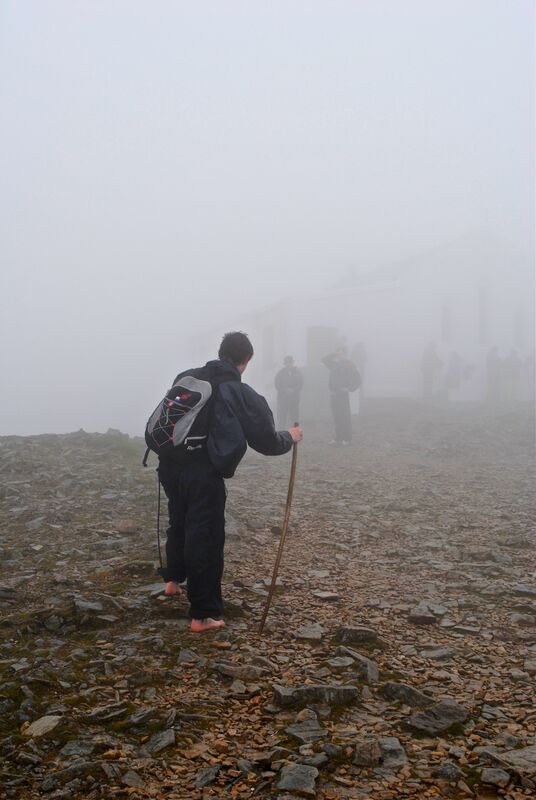 – the trail head for a centuries old path traditionally culminating 952 m higher, atop Mount Brandon, the highest peak in the country outside of the MacGillycuddy’s Reeks. 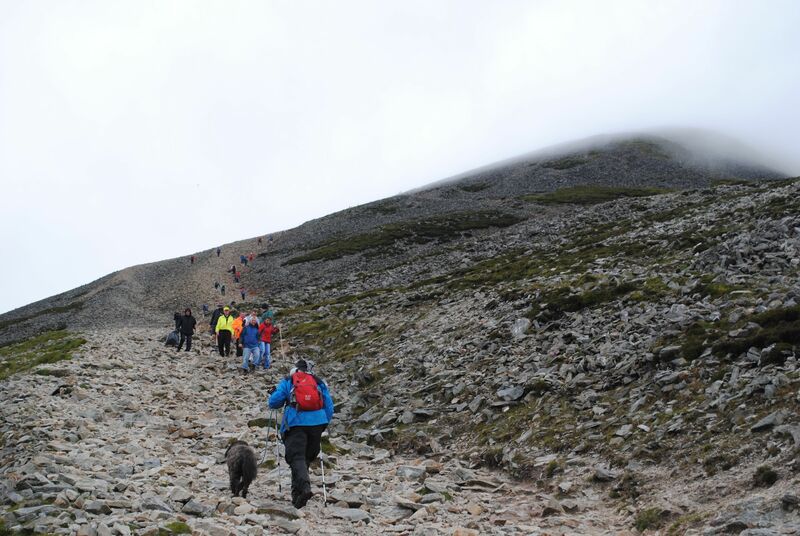 The summit of Brandon was, like Croagh Patrick, the scene of pre Christian revelry celebrating the festival of Lughnasa in honour of Lug ,the God of the Pagan Celts ,at the end of July. 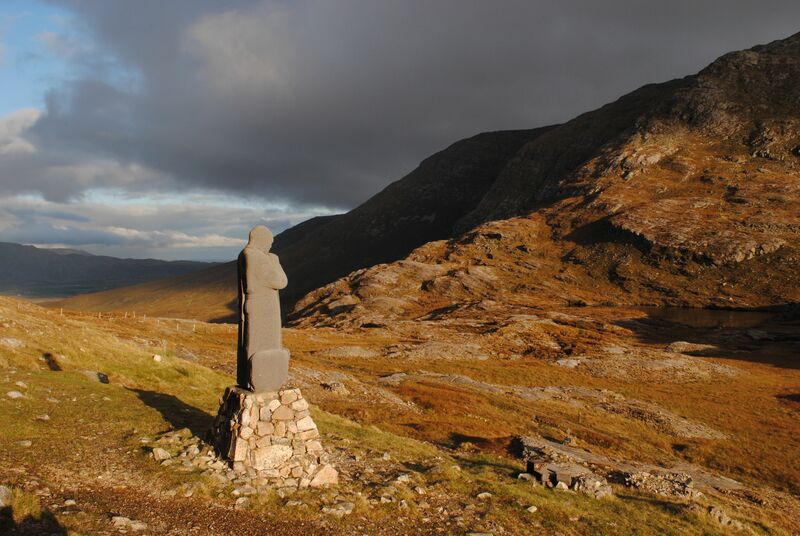 Come Christianity and the mountain was appropriated by St Brendan who supposedly spent time on the summit praying for a safe return from his sea voyage to America in a leather skinned currach nearly 1,000 years before Columbus. 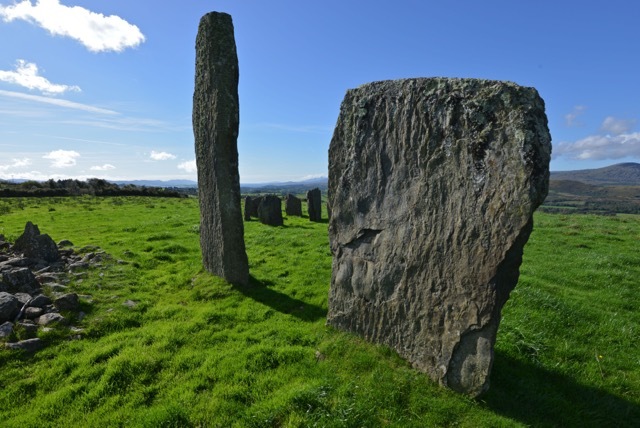 The route will certainly envelop you in the mists of time and takes in many ancient sites of interest including bee hive huts, holy wells, Churches, Ogham stones and the iconic Gallans Oratory whose dry stone sloping roof and walls have been keeping out the driving rain for 1,000 years. 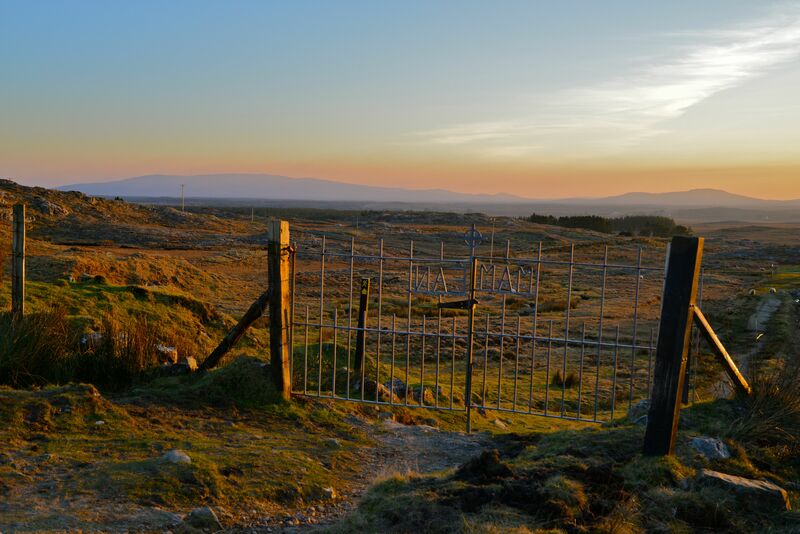 The route is well marked with posts sporting a yellow pilgrim symbol and directional arrows which will lead you across this beautiful Irish speaking area. 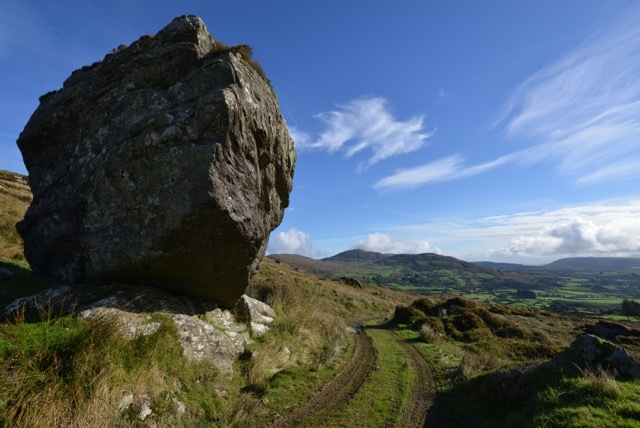 Starting at the Top of the Rock, Drimoleague, this two day walk follow’s in the footsteps of Cork’s Patron Saint Finbarr who visited in the 6th Century before setting off to Gougane Barra to set up his monastery in what became Ireland’s first National Park. There is a fine Walking Centre at Top of the Rock which as well as dispensing information on the many walks in the area offers transport, luggage transfers and accommodation for campers or in a range of wooden glamping “pods” and makes for a good base whilst undertaking this trail (topoftherock.ie). 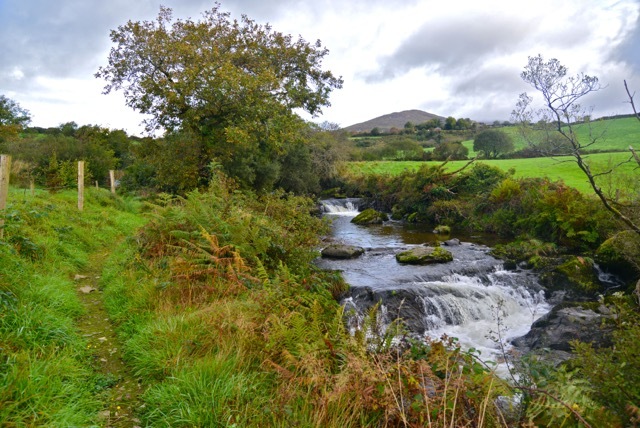 Reckoned by John G. O’Dwyer, author of Pilgrim Paths in Ireland, to be the finest of them all this route reveals some of the best scenery in West Cork as it traverses three mountain systems and four river valleys. Serene and gentle at times alongside rushing streams and through lush green meadows the way becomes more demanding when it rises on old bog roads and forest tracks to cross the higher uplands and open mountainside, before reaching the cliffs overlooking the tranquil lake of Gougane Barra. It is this variety in the trail and the far reaching views of Bantry Bay and the mountains surrounding it that make this such a special walk that well rewards the effort put in on and rocky and boggy stretches. 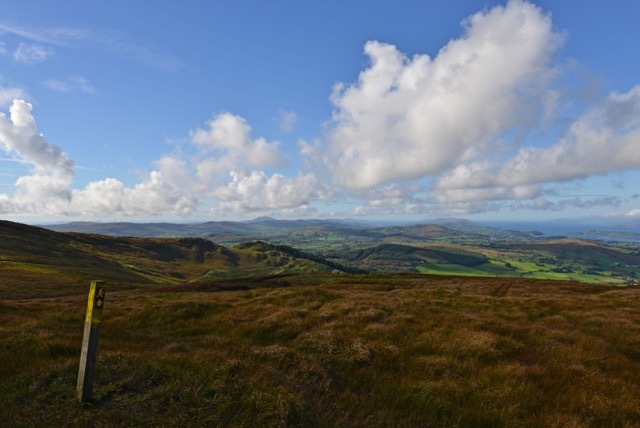 Although mostly in the wild western counties there are pilgrim paths in other areas including, in the south, the 96km St Declan’s Way from Ardmore in Waterford to the Rock of Cashel in Co Tipperary which crosses the Knockmealdown Mountains, and Saint Brigid’s Way in the east, rediscovered or created in 2013 along a 112km route linking the Saint’s Shrine and Holy Well in Faughart, Co. Louth to her Monastic City in Kildare, passing a variety of Sacred Sites along the Way. Also in the East is Saint Kevin’s Way in Co Wicklow, starting either in Valleymount or Hollywood where the Saint slept in a cave and ending at Glendalough. Both routes are less than 30km and take about six hours. Although this way includes a fair bit of road walking the second half from Ballinagee Bridge up over the Wicklow gap, down along the Gendasan river and into the hauntingly beautiful lakeside valley make it worthwhile. 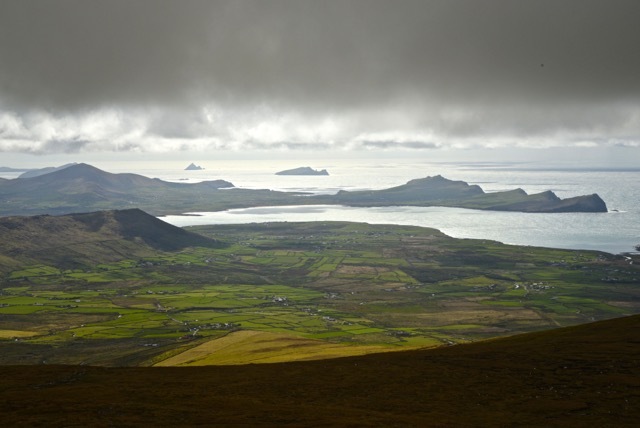 St Kevin came here to retreat from the world and spent his life in quiet contemplation and after his death in AD 618 his followers developed it into a thriving monastic centre of learning that has now become a tourist hot spot. In the centre of Ireland is Clonmacnoise, another medieval seat of Knowledge and artistic culture and the destination of countless thousands of seekers over the centuries. 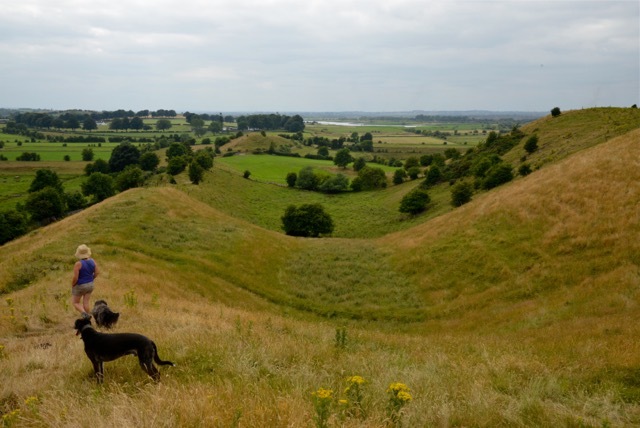 Now know as the Pilgrim Path the way follows the ridge of the Esker Riada, a glacial gravel deposit that afforded the traveller a dry route raised above the wetlands of the Shannon Callows. Starting in Ballycomber the flat route takes 25km to reach the monastic site of Clonmacnoise on the mighty river’s bank to which it owes its original popularity being on a transportation hub of water and roadways. Now developed as a cycleway rather than a walking route it nevertheless is a worthwhile trip into the tranquil heartland of Ireland. Details of these and other routes and the annual pilgrimages along them can be found at pilgrimpaths.ie.